The soothing and healing powers of lavender have been long known - to sooth away headaches, to aid in sleep and relaxation, even as an insect repellent. 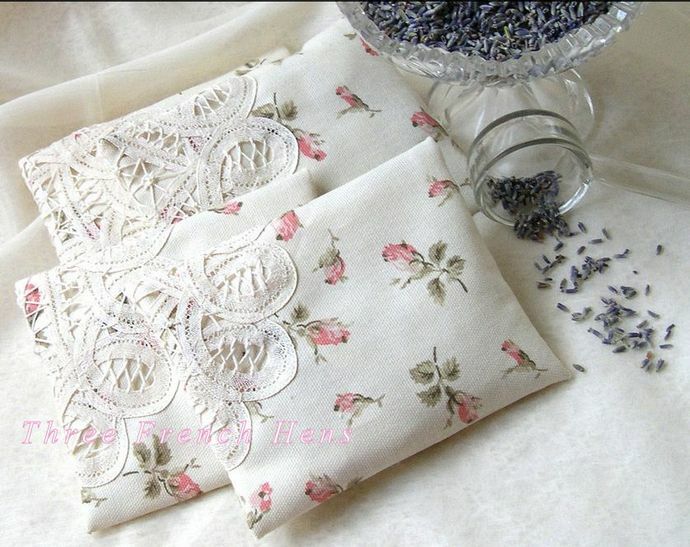 A lovely gift for the bride to be, a wonderful to treat yourself - fresh and clean, lavender is such a wonderful scent. 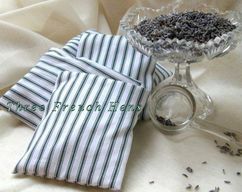 Both men and women enjoy lavender's soothing qualities. To assure freshness, I will fill your pillow sachets when your order is placed and they'll arrive bundled and tied with a coordinating silk or wired ribbon, a length of vintage lace, twine or jute - perfect and ready for your gifting. Each fragrant plump pillow is created in a lovely pink and green rosebud dotted 100% decorator eggshell white cotton and trimmed with a lovely lace doily. 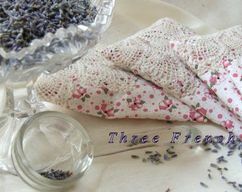 Generously filled with first quality organic lavender buds from Provence, France, the pillows will sweeten your sweaters, lingerie, linens and, when the scent begins to fade, smoosh the pillows and shake them a bit ... and you will find the scent renewed. 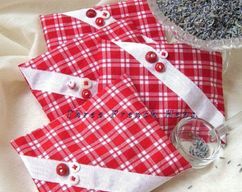 This listing is for four sachet pillows seen in these photographs, each measuring 4" x 5" (10 x 13 cm). My sachets are "refillable" and stuffed with a change-able pillow insert. Change or re-new the scent with a change of a pillow insert. 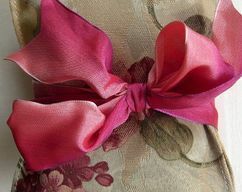 This item is made-to-order, allow me a day or three and I will have your sweetly scented pillows out for you! ThreeFrenchHens - All Things Lovely!